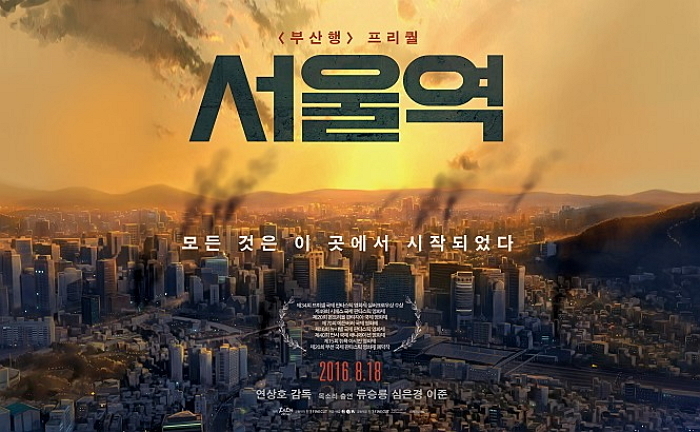 Train to Busan was something of a global success for the Korean film industry in 2016 when it played to rave reviews at sold-out screenings in a variety of festivals. Familiarity with director Yeon Sang-Ho’s previous works which are animated dramas The King of Pigs and The Fake (both released in the UK under Terracotta) won’t prepare you for this film which is a non-stop thriller light on horror but never sidelines character development. The action follows Seok-Woo (Gong Yoo), a handsome fund manager who lives with his daughter Soo-An (Kim Soo-Ahn) and mother in a fancy apartment in Seoul. The demands of his job meant his wife disembarked from the marriage and it is now affecting his relationship with his daughter who he doesn’t spend time with. Indeed, this is shown in how he misses a school recital and tasks a subordinate to get the cute girl a Nintendo Wii for her birthday little realising that he had bought one a few months earlier. Soo-An, feeling neglected, insists on staying with her mother in Busan for her birthday. A heartbreaking, “I won’t waste your time. 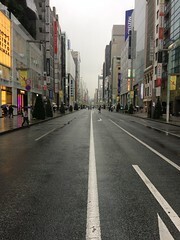 I can go alone by myself.” uttered by Soo-An gets across the distance between the two. Seok-Woo feels the gap and the guilt but he has no other choice but to take her on a train to Busan. The Osaka Asian Film Festival is a fun event to attend and also serves as a highly informative window into migration of Asians around the world. One short film that really struck a chord with me was Night Working (2017). Set in Korea, it takes two women, Lyn, a young Cambodian migrant worker, and a working-class Korean named Yeonhee, and shows how the youthful generation are facing the same hardships and have the same desires and are looking for hope elsewhere. Their stories are told with simplicity and heartfelt kindness through mirroring and parallelism of lives and actions. Both work the night shift at a small port-side factory in Incheon. They are trying to earn as much money as possible to send back to their families and better their lives. Narration from a letter Lyn is in the process of writing to her mother opens the film along with scenes of her daily life and as she narrates we see how she overcame initial fears of being alone and established a bond with Yeonhee and we get a lovely shot of them cycling to work during the onset of dusk. A screening of The Villainess will take place on Monday, September 11th at 19:30 at the Regent Street Cinema. This is the final teaser screening in the run-up to the London Korean Film Festival which will be held from October 26th to November 19th. The film screening coincides with the programme launch so attendees will be able to see what else has been programmed for the festival! The Villainess has got glowing reviews for its action making it one of the Here’s the first paragraph from Maggie Lee’s review over at Variety. It stars Kim Ok-Vin, who I adore but I’ve only reviewed two of her films: Thirst (in which she gives a barnstorming performance as a woman freshly turned into a vampire and insane with the lust and power) and Behind the Camera (a comedy involving the top actors in Korea making a train-wreck of a film. The Villainess was at FrightFest where a couple of friends of mine saw it and one wrote a review which you can read here. The Korean Cultural Centre in London is hosting another series of free film screenings and this one is called, Patchworks: Unwrapping My Korean Cinema. The final film is La vie en Rose from 1994. There’s not much out there about this award-winning film but if you want convincing that this might be worth a watch then read this interesting review. That this is the final film in the series is fitting because it was the debut film of Kim Hong-joon, the celebrated professor and film scholar whose documentaries and books have helped inspire this season of films being screened at the Korean Cultural Centre. There is a special event being held at Birkbeck Cinema on August 25th at 19:00 where Kim Hong-joon will give a talk about Korean cinema and his work and he will screen five films. If you have a deep interest in Korean films then this is the event to go to since he is a member of the Korean Film Commission, and the founder of the Puchon International Fantastic Film Festival (PiFan). Find out more at this webpage. You can book tickets for the talk here. The community they’ve come to love. “Should I stay or should I go?” is a question many young people ask themselves, whether they are from the country or the city, from the east or the west. it is a story about refusing to give up even under impossible circumstances; it’s about refusing to give in to the destructive forces of everything from organised crime, to governmental bans and crackdowns on illegal activities; it’s also about trying to build something together, a community you feel you can belong to, where the outcasts, half criminals and homeless can also feel welcomed. The Korean Cultural Centre hosts this event, and others in the season for free. This is the final season of Korean Film Nights in 2017 so make the most of the free films on offer. The film will begin at 19:00. so you had better arrive early to get a seat. The talk also takes place at 19:00 so get there early to get a prime seat as well. You can book tickets here. You can book tickets for the talk here. The Korean Cultural Centre in London is hosting another series of free film screenings and this one is called, Patchworks: Unwrapping My Korean Cinema. Garak Market Revolution is a tiny indie film that was shown on a handful of cinema screens according to the Korean film website. The fact that the Korean Culture Centre is showing these films makes it the best way to see indie films from Korea. This film looks like a lot of fun and also has a social critique about youth unemployment and a hopeful message about finding the strength to overcome it – through traditional Korean chess. Synopsis from the website: In this sweet alternative story of youth and protest, a young man with a college degree takes a job at the local Garak Market without telling his parents. Being teased by younger peers for not having a white collar job and getting harassed by his boss, his life is not exactly ideal, but after discovering his extraordinary gift for playing the traditional oriental chess game, jang-gi, and falling in love with a girl who fights to make the world a better place, he might have just found a possibility to change the world for himself and his friends. The Korean Cultural Centre in London is hosting another series of free film screenings and this one is called, Patchworks: Unwrapping My Korean Cinema. The next film is The March of Fools from 1975 and it comes from Ha Gil-jong. It seems to be an important title in Korean film history. There’s a wealth of information out there thanks to different retrospectives and elements in the Korean film industry who are keen to promote some of their nation’s best works. If you cannot make it down to London, you can watch it legally on YouTube. The UK premiere of A Taxi Driver will take place on Monday, August 14th at 18:30 as part of the London Korean Film Festival‘s teaser screenings in the lead-up to the next London Korean Film Festival which will be held from October 26th to November 19th. A Taxi Driver is a road-movie based on the true story of a taxi driver named Kim Sa-bok taking a German reporter named Jurgen Hinzpeter to cover the Gwangju Uprising (May 18th – 27th, 1980). The film stars Song Kang-ho (The Quiet Family, Joint Security Area, Thirst) and Yu Hae-jin (Public Enemy, Kick the Moon, The Flu, Veteran). It’s released on August 02nd in Korea so to have it released in the UK so soon is a great deal! The Korean Cultural Centre in London is hosting another series of free film screenings and this one is called, Patchworks: Unwrapping My Korean Cinema. The latest film is a documentary about a knitting club but there’s more to it including the bonds that members of this club make and creating a union. The screening takes place on August 03rd from 19:00.